A quilt pattern in four sizes: crib, lap, twin and queen. This is a physical, PAPER pattern, NOT a PDF pattern. 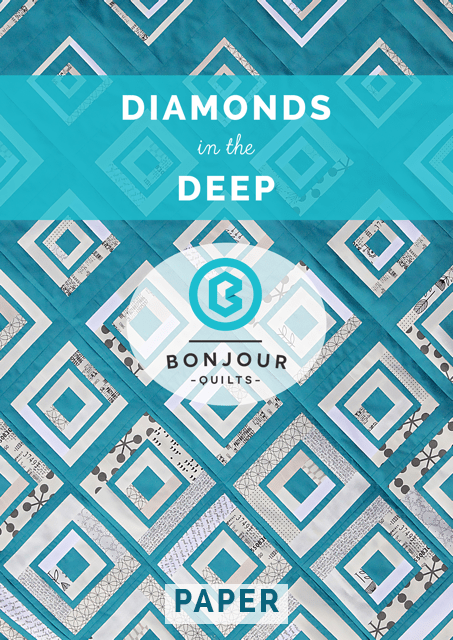 Diamonds in the Deep uses colour grading and log cabin blocks to form a striking, modern quilt. 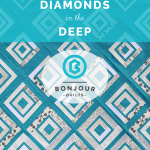 This pattern can be made with yardage or used to make a dent in your scrap pile. This product will be mailed to you via Australia Post (postage is included in price). If you are Australian, I mail from the Sunshine Coast, Queensland – that will give an idea of when to expect delivery. If you live in the US/UK/Rest of World, delivery will take 7-10 days standard, up to two weeks in some cases. If you have not received your pattern in 2.5 weeks please get in contact with me via email. Don’t forget to show me your finished quilts. Happy sewing!